To add injury to insult, I'm sure it didn't feel good to hear from the Wall Street Journal that collective sales from your sites only "account for a relatively small slice of Amazon's traffic, so the move isn't likely to cause major damage to the company's business." It's like the morning after the prom, when in wrinkled dress and wilting corsage you realize they're just not that into you. At least, not when they may have to collect millions in state sales tax that could help fix bridges, keep schools open and fund libraries at a time when your states are truly suffering. Well, I want to invite you to the indie party. While the flashy prom has been happening at the country club, we've been holding our own get-together in the gym. What we lack in glamour, we make up for in charm. Like you, we love to recommend books. We think it's cool that you're recommending books, and with us there's no such thing as too small. We won't marginalize you. And we all pay our local taxes. Best of all we have an affiliate program too! 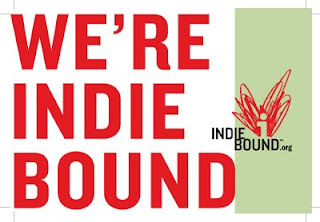 It's called IndieBound, and we'd love to have you be a part of it. You'll get a reward for using it, your readers can keep getting their books off your site, and your state will benefit in the end. Everyone wins. Again, we're sorry that you lost your date. (We never really liked them anyway.) We promise we won't leave you hanging.